2019 entertainment line-up coming soon! 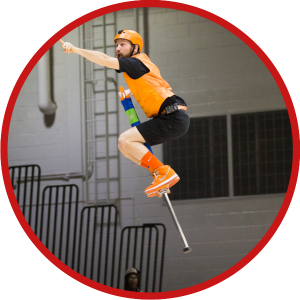 Wacky Chad’s award-winning pogo stick skills, charmingly funny jokes and antics got him on America’s Got Talent (twice! ), But you probably didn’t see it because they didn’t air it. 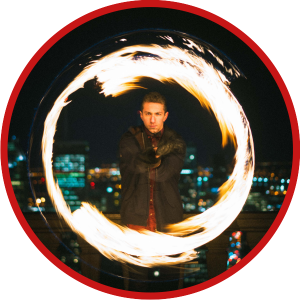 He has entertained thousands in 26 countries including New Zealand’s World Buskers Festival, Dubai Comedy Festival, NBA Halftime Shows, Formula One and even the Super Bowl. Prepare to be amazed with his flips, tricks and stunts! Fire-breathing, fire-spinning and fire diabolo, the youthful and charismatic Egemen Ustun will blow you away! 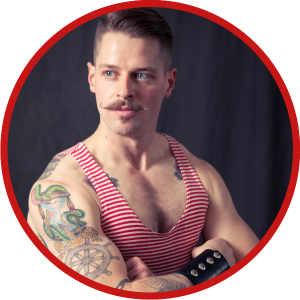 You’ll gasp, laugh and dance as he personalizes each show to what the audience wants to see. Featuring a unique triple-unicycle and amazing fire manipulation skills, this is a mesmerizing, must-see street spectacle. “The Show Must Go On! 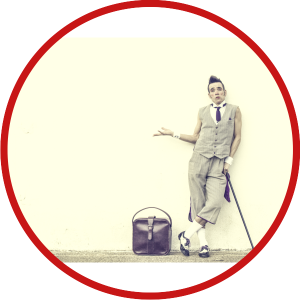 !” Inspired by great comedians from Grock to Buster Keaton, Thelmo mixes balancing, juggling, slapstick and audience interaction to share moments of comedy and connection with the audience. A clown show for the modern era, with fun for all time. Enjoy the joy of chaos! 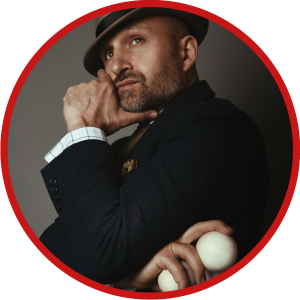 Mat Ricardo, the gentleman juggler, is the UK’s number-one variety performer. one of the most unique, critically acclaimed and reliably entertaining specialty acts in the world. The first man in history to put a tablecloth back on a fully-laden table, but that’s just one of his astonishing feats. 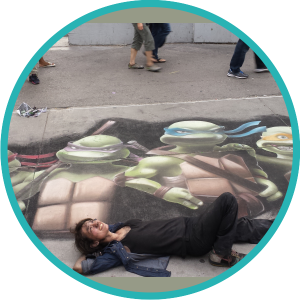 He has won multiple awards for street performing, theatre and cabaret, and for the last thirty years, has toured the world’s stages and streets, splitting sides and dropping jaws. Big laughs, big crowds, serious skills, and the best tailoring you’ll ever see in a street show! 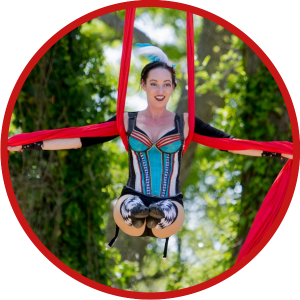 Cirqa Brava’s high-flying acrobats mesmerize and delight audiences with their one-of-a-kind spectacle of contortion, aerial acts and more. Blending razor-sharp comedy with breathtaking beauty, these ladies’ antics will turn your world upside down, inside out, and leave you tangled in laughter! Ladies and Gentlemen- step right up to THE STREET CIRCUS! A high-energy show that embodies everything great about going to a modern circus, and everything fun and spontaneous about street performing! 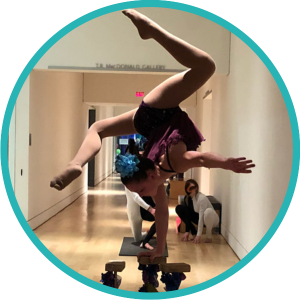 Watch and be amazed as these two performers bring the whole circus experience to the street, performing over 100 stunts throughout the show: cyr wheel, hand-to-hand acrobatics, hula hoops, handstands, contortion, juggling, and of course comedy! A bartender and a waitress with a mobile bar, dreaming of fame in the circus world. Together they will mix their coolest tricks with spicy humor to win the love of the audience. 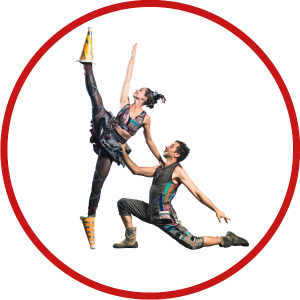 Duo Looky in a fast paced acrobatic comedy displaying original circus tricks you’ve never seen before, such as, balancing on bottles with point shoes and two people riding on one unicycle. Kilted Colin pushes the boundaries of what you thought could be done in a kilt… A circus performer with style—but not grace! Whether he’s dancing his way across the stage or charming you with his quick wit, his natural charisma makes him an absolute joy to watch. 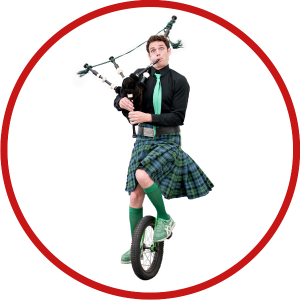 He’ll bagpipe his way into your ears and then your hearts, all whilst clambering on top of his 10-ft unicycle. If there’s one thing this man knows, it’s how to dress and how to impress! Watch out behind you! And in front…and over to the side! Surprise entertainment pops around every corner. Grace and strength combine to defy gravity as Ashlynn balances only on the palms of her hands. Contortion, beauty and elegance! Jo Lalonde challenges perspective and masters color in gorgeous, ephemeral street paintings. 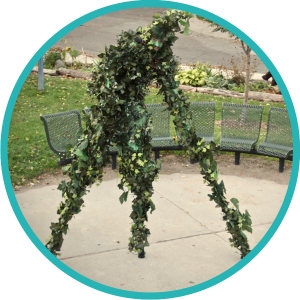 The Living Vine Creatures are gigantic but gentle and friendly. They may surprise you from their camouflage, moving when least expected and dazzling audiences with majestic four legged movements. Find them and strike a picture pose! Remember to water them with your donations, they need to grow and thrive! 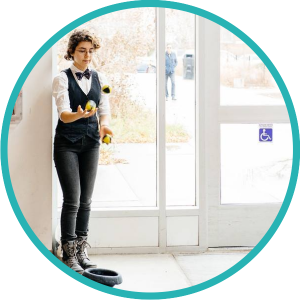 Roving juggler Ezri Wyman will charm and delight you with master manipulation of ordinary objects! 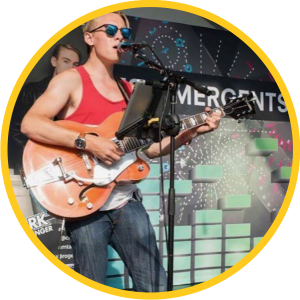 The Dundas Buskerfest proudly presents Canadian musicians from the Greater Hamilton area. 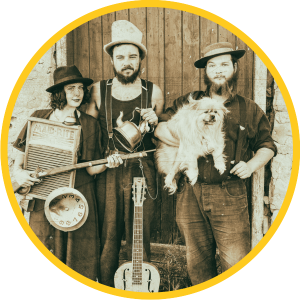 Roaring 1920s tunes from The Vaudevillian make you get off your doggone caboose & do the lindy hop! Thank goodness PROHIBITION IS OVER! Get ready to shine your shoes to do the skoodle-um-skoo! Norah & James were JUST married!!! 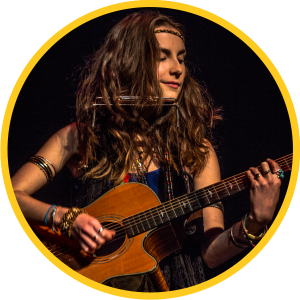 Born and raised in Fergus, Ontario, 18-year-old songstress Madison Galloway takes the stage with guitar, harmonica, and ukulele with her signature style of folk-rock and blues. Well beyond years in experience, talent and showmanship, Clark Schlesinger returns to Dundas Buskerfest. Look forward to a mix of Jazz, Classic and Pop Rock and Alternative. 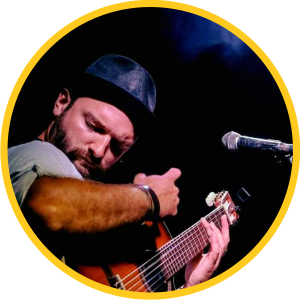 Kyler’s blend of Russian gypsy and flamenco will create an enticing atmosphere, capturing the adventures of the road with his take on modern Gypsy Music. 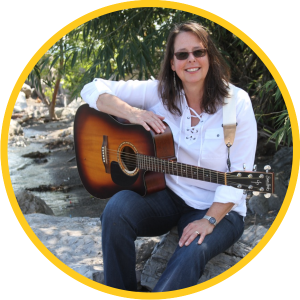 Accompanied by percussionist Gord Moss, Laura plays vibrant melodies on acoustic guitar, with powerful yet gentle vocals. 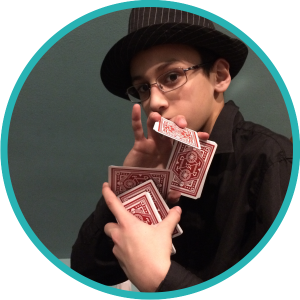 Born into a family of entertainers, Nik loves to make people smile. 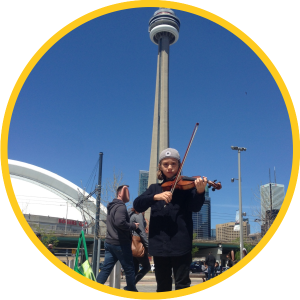 He returns to Dundas Buskerfest with his classic and pop violin stylings. 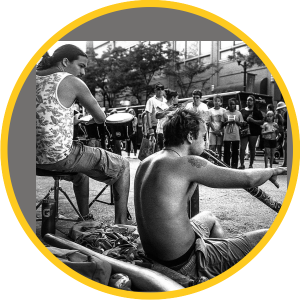 Groove to the didgeridoo and psychedelic rhythms of Christophe & Luc! 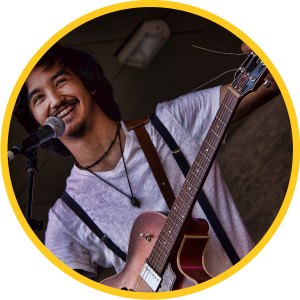 Armed with his trusty loop station and a wide variety of other instruments, “The Prince of Acoustic Soul” is a one-man powerhouse creating lush walls of sound and soulful melodies.